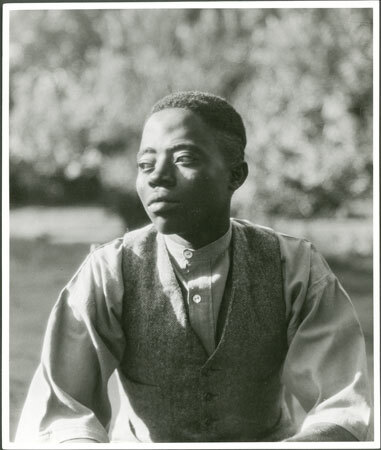 A portrait of Mekana, a son of the courtier Ongosi, wearing a shirt and waistcoat. Mekana (a son of Ongosi the courtier) was, along with Kamanga, one of Evans-Pritchard's personal servants during his fieldwork among the Azande. Morton, Chris. "Evans-Pritchard's Zande servant Mekana" Southern Sudan Project (in development). 03 Jan. 2006. Pitt Rivers Museum. <http://southernsudan.prm.ox.ac.uk/details/2005.111.25/>.